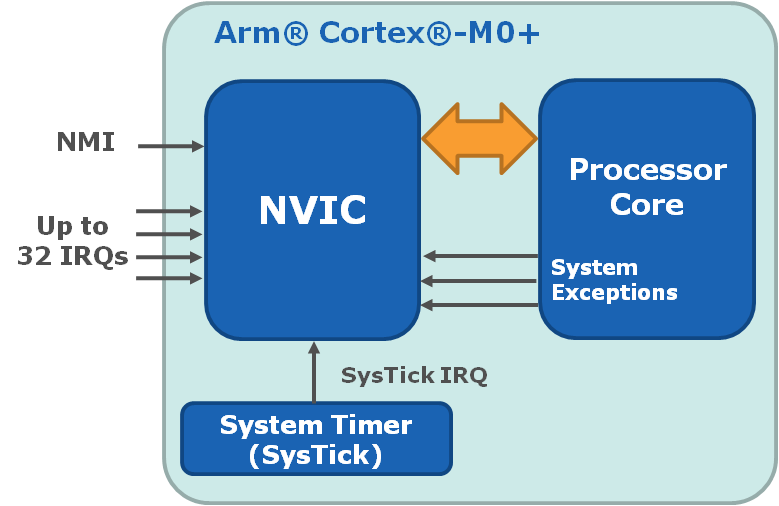 This section covers basic coding steps required to configure/use the SysTick timer module found in the CPU core of SAM D21 MCUs. The system timer consists of four registers (CTRL, LOAD, VAL, CALIB) which are defined in the CMSIS-Core header file core_cm0plus.h. These registers are located in the SAM D21 System Control Space (SCS) memory region, beginning at address 0xE000E010. Current SAM D21 errata indicates that the Reference Clock is un-implemented and that the user should configure the SysTick clock source to be the CPU Clock (CLKSOURCE==1). If no reference clock is provided, this bit reads as one and ignores writes. SysTick_LOAD is a counter (re)-load value register.This provides the wrap value for the counter. 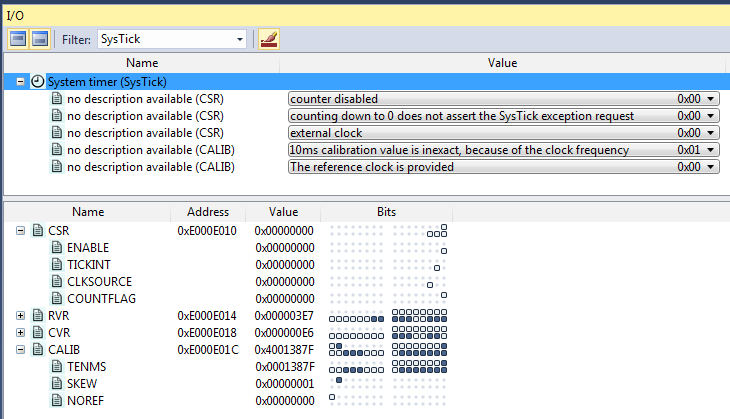 When this bit is '1', the CLKSOURCE bit of the SysTick_CTRL register is forced to 1 and cannot be cleared to 0.